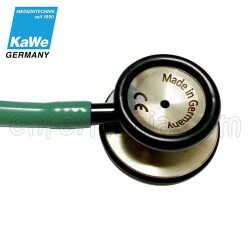 The stethoscopes of the series KaWe Prestige are used daily all over the world, both in consultations and in the emergency department. They convince by their outstanding features such as excellent sound quality thanks to the membrane reinforced with glass fibre of high performance, as well as by the solidity and robustness of their head of steel stainless. 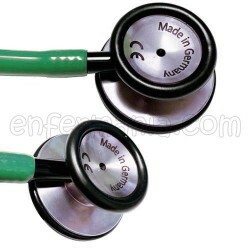 Its indicative chart of side of head (reversible) audible indicating, in each moment, the side selected (bell or diaphragm) avoiding loss of time by locating the side connected. 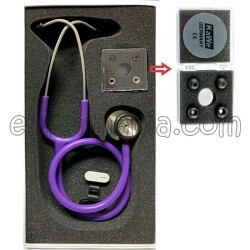 Your stethoscope made in Germany at a reasonable price.